Extract of two Letters from Dr. John Burton, of York, to Dr. Ducarel, concerning Roman Antiquities discovered in Yorkshire, 1770. 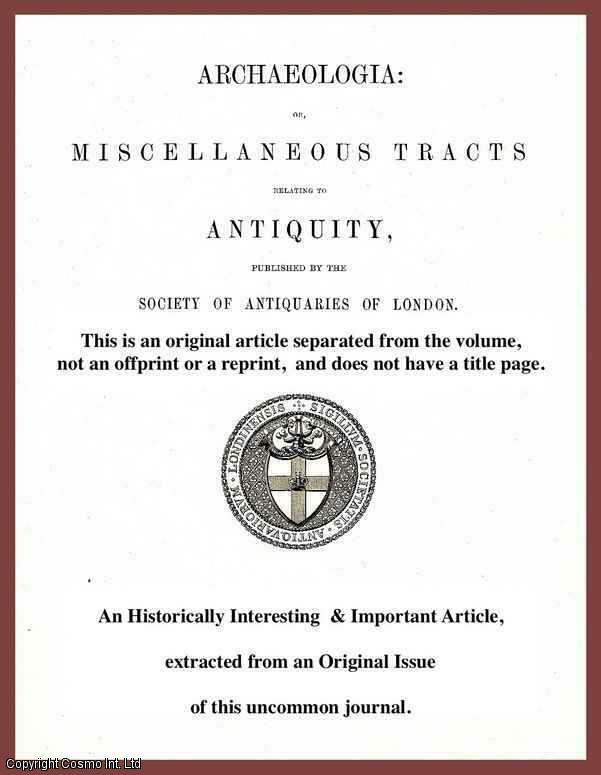 A rare original article from the journal Archaeologia, 1773. - ---. ---. - Extract of two Letters from Dr. John Burton, of York, to Dr. Ducarel, concerning Roman Antiquities discovered in Yorkshire, 1770. A rare original article from the journal Archaeologia, 1773. Archaeologia: or Miscellaneous Tracts relating to Antiquity. Volume 2, 1773. 1773. First Edition, Disbound. Very Good Condition. 3 pages, some foxing. Note; this is an original article separated from the volume, not a reprint or copy. Size: Quarto. Quantity Available: 1. Category: Archaeologia; Printed before 1800; Inventory No: 250744. We usually despatch within the two days following your order, ie a Friday order may not go out until Tuesday, and then you need to allow a little time for delivery. Typical delivery times - UK 3-5 working days. Europe uptown 30 working days. USA & Rest of World unto 30 working days. The availability of items are as shown on the website you were browsing and buying through. Sometimes goods do sell out on other sites and we update our data as quickly as possible to reflect this. In the event of stock being unavailable we will let you know. If you have an enquiry not covered above do please write to us, with the word "query" in the subject line of your email. We want you to be happy. Very happy. If you don't like the item when it arrives, just let us know, and arrange to send it back within thirty days. We'll cheerfully refund your purchase price. Just remember to pack as well as we do. International delivery time vary by destination. Please allow upto 30 days, though it can often be much quicker.